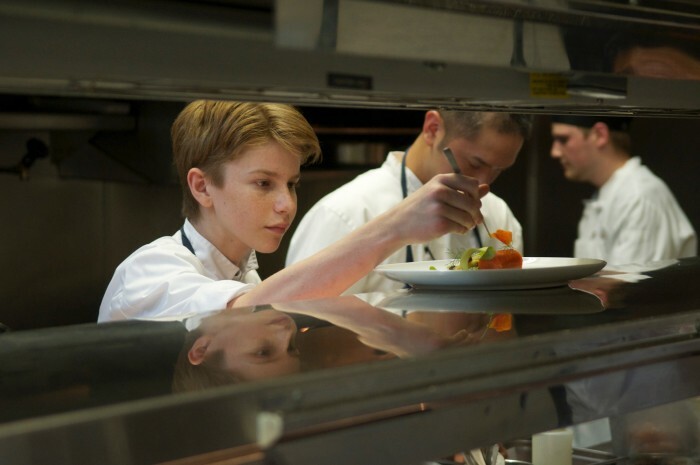 Chef Flynn McGarry, culinary child prodigy, media darling, restaurant owner, is the subject of Chef Flynn, a documentary film by Cameron Yates. Flynn McGarry began hosting his own supper club when he was 11 years old in his home, aided by his schoolmates. Fast forward. Now 19, he has been a fascinating subject for the readers of the New York Times Magazine, Time and food blogs the world over. McGarry is the subject of Chef Flynn, the second feature doc from director Cameron Yates (The Canal Street Madam). We all love to film the rights of passage of our children: science experiments, soccer games, art projects until suddenly we realize that we documented hours and hours of our child’s life. But when mom, Meg McGarry, is a filmmaker and the hobby of her 5 year old hobby is cooking and creating small culinary masterpieces learned from TV cooking shows, the videos are a cut above. The child prodigy’s focus, tenacity and amazingly sophisticated palate become clear. While filming him cooking in his bedroom and hosting dinner parties aided by a kitchen brigade of his classmates, what was she thinking? A passing phase? Mozart? Enter Cameron Yates, a documentary film maker who sifted through this compendium of home movies and found a fascinating subject for his next film, Chef Flynn. Featuring over 18 years of personal archival footage as well as intimate vérité, this feature documentary portrait is not only the study of a rising star thrown into the media spotlight at an early age, but also a reflection of motherhood and what it means to give up one’s own identity in furtherance of a child’s passion. 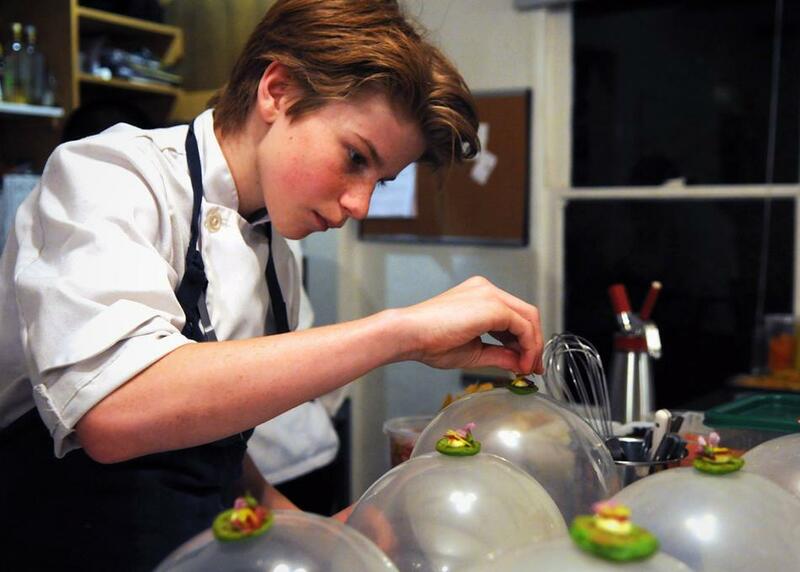 At 15, accompanied by his mother, Flynn moved to New York to do stages in top restaurants – and yes, the seasoned chefs in the most important dining city in the world showed him respect. As his expertise and imagination soars, so does his reputation, and his tasting dinners in family home in California became a “must try”, as guests came from far and wide. Newspapers, magazines and bloggers wrote feature stories on this unusually talented young man. In the film, compiled of home movies and footage by Yates, we see the child grow up and the chef blossom. His focus is unwavering, and his personality does not become altered as his confidence in himself and his craft grows. Of course, there are a few disappointments along the way, such is life, but by sheer talent and force of will, at age 19, his dreams have come to fruition. Today he has his own restaurant, Gem, located in New York’s Lower East Side. Small, yes, but perfect. He serves a 12 to 15 course menu to two seatings of 12 guests Tuesday through Saturday. Cameron Yates has captured this young man’s life in a brilliant and inspirational documentary film. Playing now. One-Week engagement begins January 25, at the Hot Docs Ted Rogers Cinema.